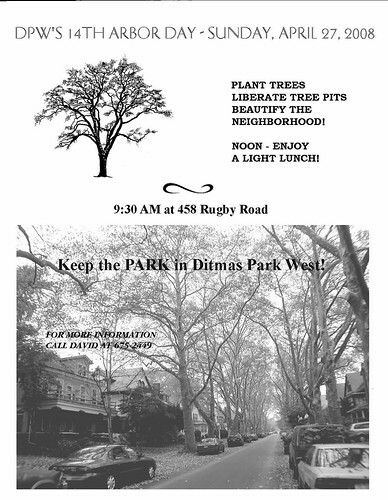 This is Ditmas Park West's 14th Annual Arbor Day weekend tree planting. 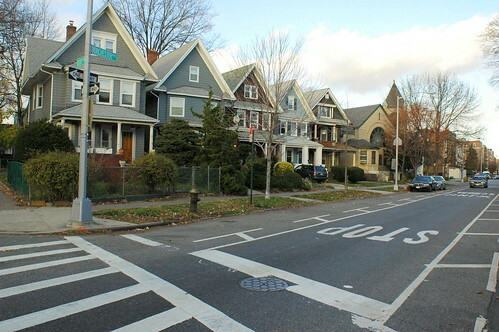 It is well-organized and coordinated with City resources such as Parks. 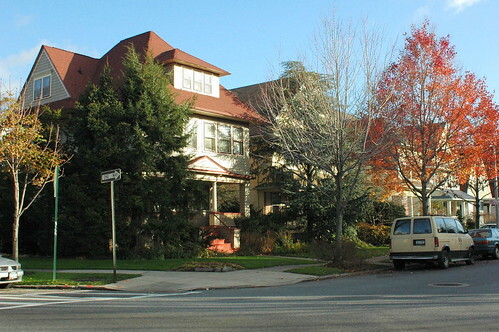 Even if you don't live in Ditmas Park West, this event can provide you with ideas for organizing and mobilizing your neighbors to clean up your streets, become stewards of street trees, and build community in the process. To participate, meet at 458 Rugby Road at 9:30am to join a crew. Heavy excavation will be done with power equipment. You can bring your own gardening tools, as well. Work continues for about two hours, then everyone gets a chance to share a light lunch.